3,000 North American Jews studying in Israel join mass-singing event in Tel Aviv in sign of unity at opening of Jewish Federations assembly. Thousands gathered in Tel Aviv’s HaYarkon Park Monday evening for what organizers dubbed a “mass-singing event” to mark the opening of the Jewish Federations of North America General Assembly in Israel. 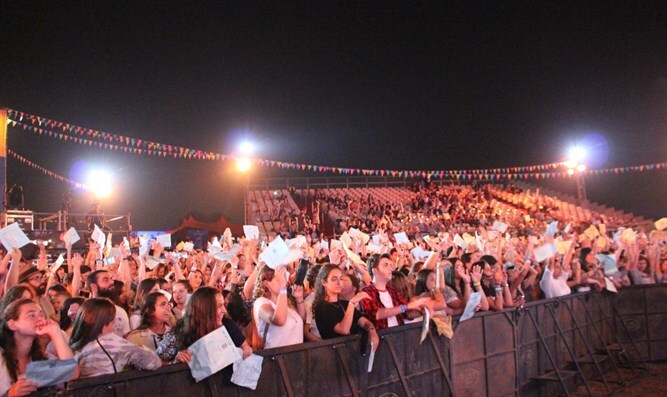 Some 3,000 JFNA GA delegates and participants from Masa Israel Journey– which brings Diaspora young adults to Israel for a wide-range of educational programs – kicked off the 2018 GA together with a message of unity through a massive social musical initiative. Among the attendees were Chairman of the Jewish Agency, Isaac Herzog, Chair of the Board of Trustees of Jewish Agency for Israel (JAFI), Chairman of the Board for JAFI, Michael Siegal, Chief Innovative Officer of the OU, Rabbi Dave Felsenthal, Chief Innovative Officer of the OU, and numerous other executives from Federations, synagogues, and prominent Jewish organizations around the world. 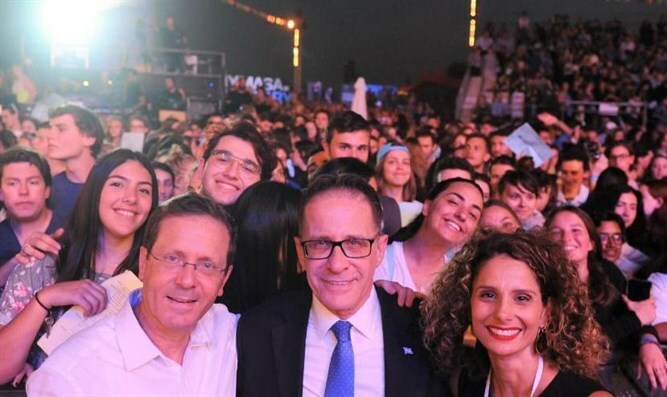 Chairman of the Jewish Agency, Isaac Herzog said, "In my new position as Chairman of the Executive of The Jewish Agency for Israel, I am thrilled to kickoff this year's GA with Masa Israel Journey, drawing Israelis and world Jewry closer together."